This Irish march is probably as old as the late 16th century, and commemorates Hugh O'Donnell, the leader of Ireland's native and Catholic clans in the wars against Protestant Elizabethan troops in the 1590s. 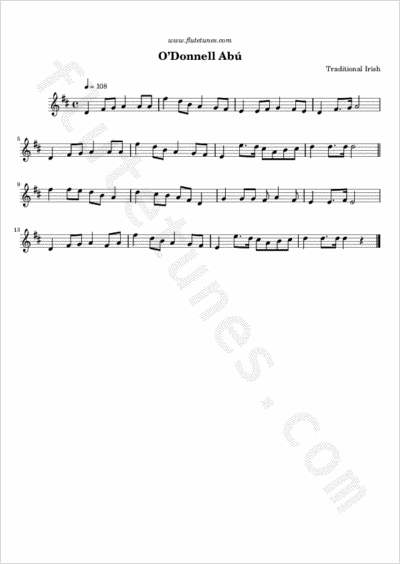 According to some sources, however, the tune was composed in the early part of the 19th century by Joseph Haliday, a bandmaster from Carrick-on-Suir, Co. Tipperary. Thanks to Brian for suggesting this tune!